When: Race Begins on May 11, 2019, at 12:00p.m. Visit the official Statewide Pinewood Derby Page on our website for full rules and information. 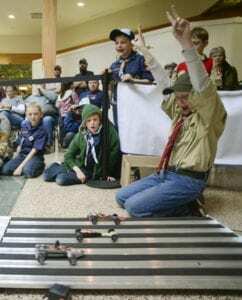 Questions: Please direct all Pinewood Derby questions to Dave Snyder at Dave.Snyder@scouting.org or at 406-366-9055.